Special Thanks for May's giveaways! *Jodi Vaughn donated both of her Rise of the Arkansas Werewolves books: By the Light of the Moon and Blood Lust Moon and a t-shirt. The logo is in red so it has a really cool look to it. *Author Linda Poitevin crocheted this adorable Baaath scrubby sheep. There is an opening in the back to insert a bar of soap! *postcards, magnet, sheep poop bookmark, keychain light, I Smell Sheep ornament, candy, Kool-Aid, moon pie, beautiful Canadian Year of the Sheep stamp. 2. 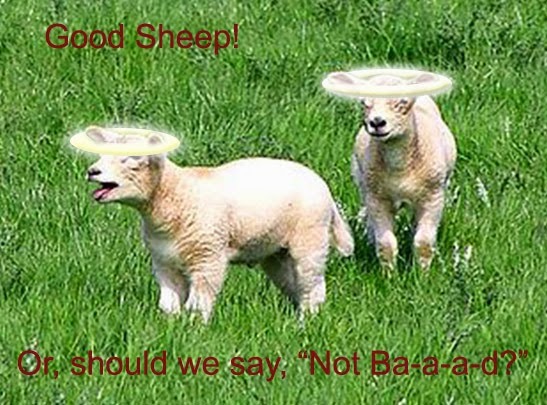 If you already made a sheep picture you can grab those entries again in the rafflecopter. If you want to make a sheep picture mail it to flockparty@hotmail.com and then you can get those entries from here on out too! 3. Sheepify a game title! Ex. 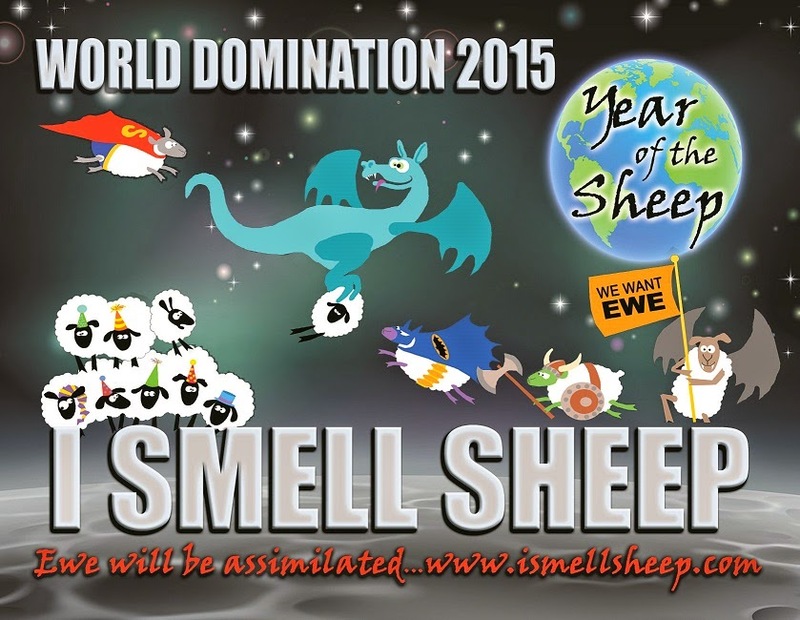 Sheepopoly and tell us your favorite board/card game. Phase 10 sheep. LOL... not good, but all I could think of ;) thanks for sharing! *high fives Anne* That is awesome. Gin Rummy is my favorite game because I always played it with my grandmother. My favourite card game is actually Solitaire, not easy to sheepify that one. I won April so I'm just going to Tweet this daily :). My fave card game is (shocker) Cards Against Humanity! Sheepopoly. My favorite game is Monopoly. Game? Dungeons & Sheep... or Yaaaaaaaaaaaaaaahtzee! BattleSheep. 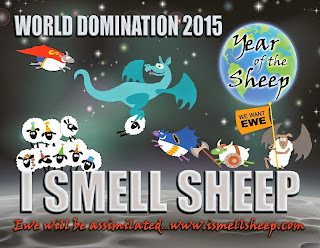 Tagline: Ewe sank my BattleSheep. My favorite game is Uno. Scraaaaable is my favorite board game. 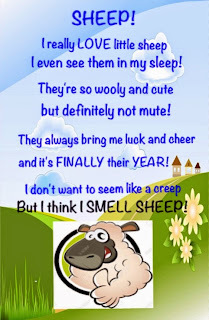 My favorite game is Kismet, so either ewemet or sheepmet!